It’s been a crazy week — and one of mixed emotions. On Friday the Joker left Cambodia and headed home to Australia. Well, to be honest, he headed to a new home. 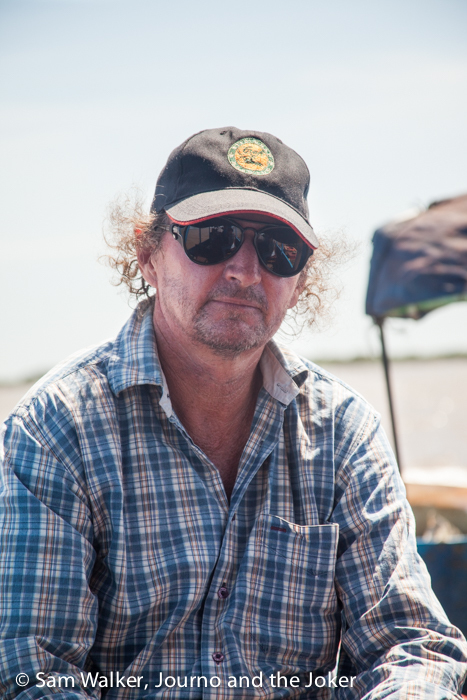 He’s landed in Darwin, in Australia’s far north, where he’s got new adventures planned — catching a highly prized barramundi is top of his list. It’s time to fulfil his passion for fishing and while the life of a volunteer is great, he’s ready to get back into paid work. We planned to be in Cambodia for a year and the Joker made it through to 18 months. As with any good adventure, there have been ups and downs but it has been an amazing experience with memories to treasure forever and friendships to last a lifetime. And so I thought I’d put a little video together with some highlights of the Joker’s time in Cambodia. There’s no doubt it has been a year and a half of fun and laughs. But there have been challenges and frustrations, humbling experiences and amongst it all a huge number of great people. Too many people and too many places to include everything in this short video. We are in the process of working out our next adventures. We’re hoping to continue our relationship with Cambodia but we will see how our plans come together. We have ideas we’d like to implement, people we’d like to see and organisations to help. Siem Reap is a great city to live in — except for the lack of fish. Well, the lack of good-sized ocean fish. But there is absolutely no shortage of warm and beautiful people with a great sense of humour and always keen to party. In the meantime, the Journo is still in Cambodia for at least another few months, so we’ll be posting from two destinations with a variety of fun and shenanigans. Because whatever happens, we don’t want to go back to the mundane. So farewell Joker. Miss you and your fun and games. It hasn’t been beer o’clock for two days! Well that time has gone so fast. an a new one starting in Darwin by the sound of things. Best of luck with your next adventure, travel safe and hope to catch up soon. How long are you staying for Sam, keep safe and talk soon. Hi Gaynor. Yes, the time has flown. And Darwin is definitely looking like it will hold new adventures.